Though I rarely ever used Scyther as part of my team, I still loved the look of this mantis Pokemon. So much so that I chose Scyther as my first Pokemon gijinka! I made two versions of this costume; one in 2014 and one in 2015. I wasn’t able to make the costume quite like I had envisioned it initially, so with the second I tried to rectify that with smoother armor, bigger feet, and a helmet to replicate Scyther’s head shape. Overall Scyther was a huge achievement for me, and it even became one of my award winning builds! Scythe’s armor is made using a craft foam base and Worbla, plus oodles of filler and hours of sanding! 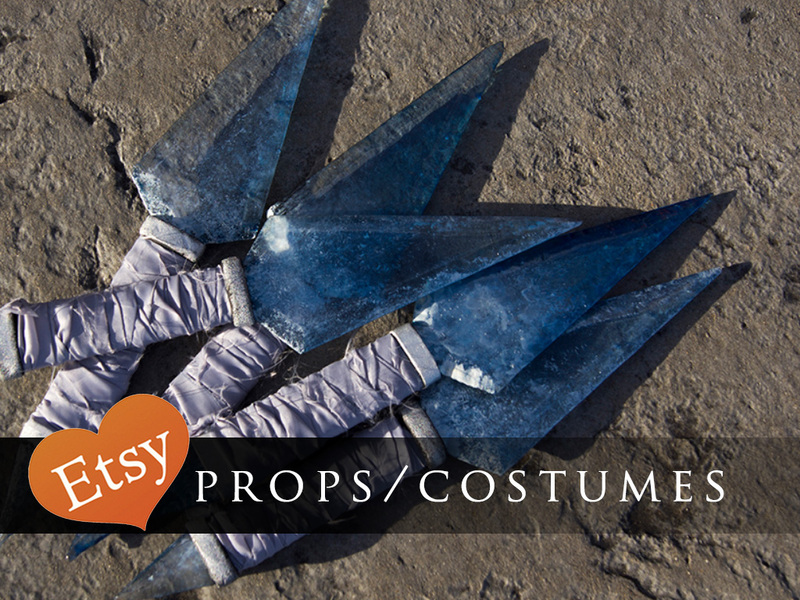 The blades are made with cardboard, expanding foam, and Worbla as well. The wings, however, were far more complicated. The wings are made with a wooden frame, wire skeleton, and cellophane covering. Each individual connection point in the wire frame is soldered together, and the cellophane is crinkled and glued over the top on both sides. They are connected to my breastplate with a metal support over my shoulders and fold down to make fitting through doors a bit easier.